After the recently completed restorations, you will truly enjoy the Archaeology Museum and will not want to leave for the upcoming visits. And the next stop will make you want to fly like the legendary Hezarfen Ahmet Celebi and then you will see the shortest metro ever built. Not the biggest market in the world but the Grand Bazaar will be your sweet headache of the day. Istanbul Archaeology Museum was born as an Imperial Museum in 1872. Sultan Abdulaziz was fascinated by the museums in Europe and wished to establish a similar one in Istanbul. Sooner the museum proved to be very successful and is well-known today with its rich collections of Hellenistic, Roman, Turkish, Mediterranean, Trojan, Near Eastern, Mesopotamian, Egyptian and Hittite exhibits. The two very famous pieces are; the fabulous Alexander Sarcophagus from the necropolis of Sidon believed to be prepared for Alexander the Great and one of the three tablets of the Hittite- Egyptian Peace Treaty signed by Hattusili III and Ramesses II in 1258 BC. That is the oldest known peace treaty in the world, and a poster of the treaty is on the wall of the United Nations Headquarters in New York. Galata Tower is one of the best-known landmarks of Istanbul. It was called Christea Turris (Tower of Christ) by the Genoese and the Megalos Pyrgos (The Great Tower) by the Byzantines. It took its present form in 1348 during the Genoese period. After some repairs in time, finally, the conical part on top was restored during the Ottoman time when it was used as a fire tower. A very well-known story is the one with Hezarfen Ahmet Celebi who flew from the tower to Uskudar across the Bosphorus by artificial wings in 1638 as the result of the common passion of humans to fly. The tower is 66.90 meters tall and the outer diameter is 16.45 meters. Today, the Galata Tower is one of the main tourist attractions in the city, provides a fantastic view of Istanbul from the panorama balcony, and there is a restaurant on the top floor. 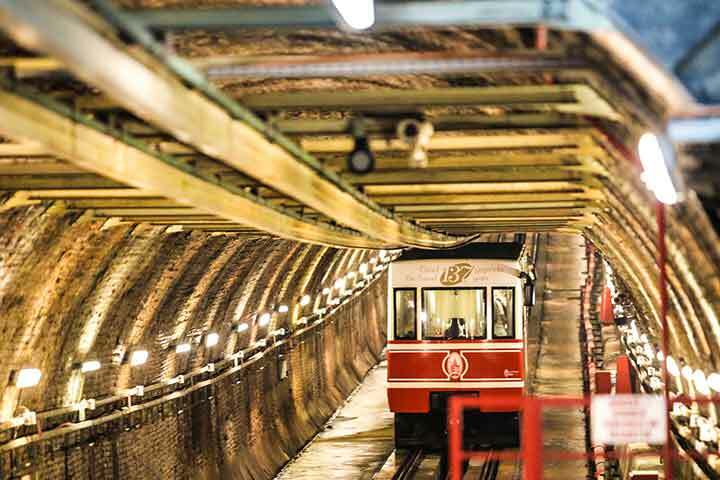 The tunnel at the end of the famous Istiklal Street connects Beyoglu to Karakoy, dates from 1873 and is the shortest metro ever built. Today's Beyoglu, Pera with the old name, was the modern district of the late Ottoman period with contemporary shops and cafes where the foreign merchants and embassies were located. You will have free time here to window-shop if you wish to experience a sense of 21st century Istanbul and observe the daily life of ordinary people. 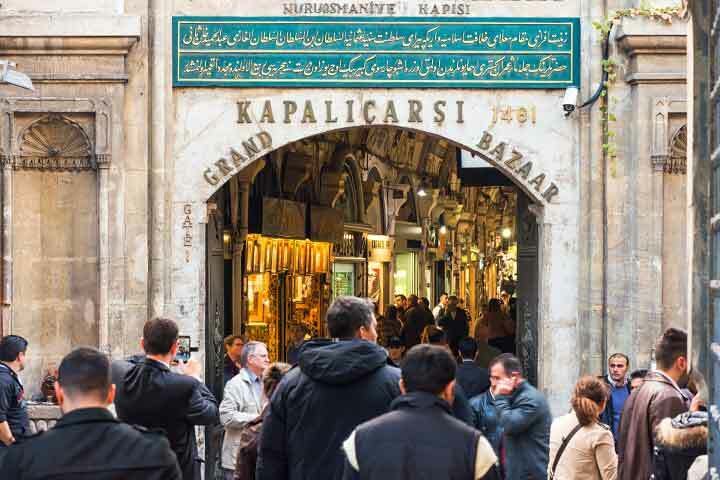 The Grand Bazaar is one of the largest and oldest covered markets in the world, has more than 60 streets and approximately 4000 shops where you find an item that is produced on the planet. The market, which dates from the mid-15th century, was built right after the conquest of Constantinople as a bazaar for textiles. It was reserved for luxury goods from the endless empire of the Sultan after the cloth sellers were moved to a new market, gradually evolved over the years and took its final form in the 17th century. This immense trades center of the Ottoman Empire dazzled the foreign travelers for centuries with its liveliness and prosperity and still a popular place for both Turkish people and foreign visitors. 2014 statistics say it is the most visited tourist attraction in the world with nearly 91.000.000 visitors annually. Weekdays are recommended for this tour due to overcrowding of the sites by the locals over the weekends.